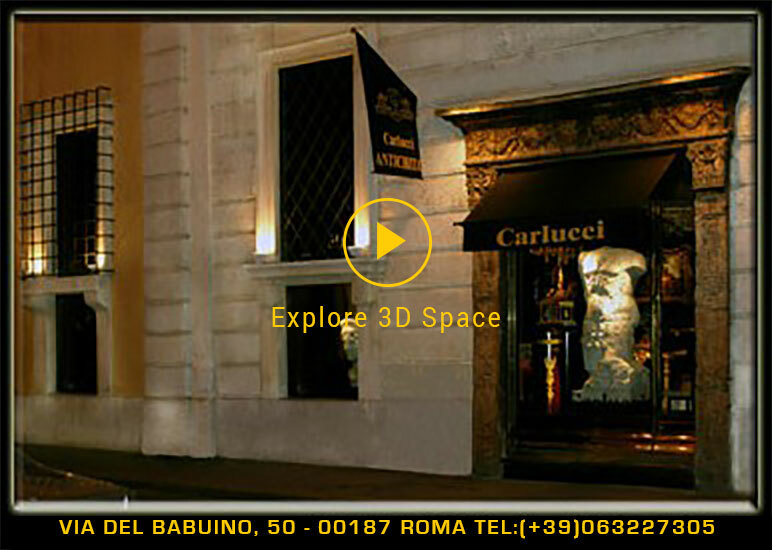 The Carlucci Gallery was founded in 1975 by Francesca Carlucci, the daughter of Antique Art enthusiasts, the gallery is located in Via del Babuino, a reference street for antiques and international collectors, between Piazza di Spagna and Piazza del Popolo. Francesca Carlucci and her son Marco Lafuenti propose, through a strict and careful research, a fine selection of works of art. The collection includes paintings by Old Masters and furnishings from roman palaces and private commissions. The gallery is an unparalleled and essential point of reference of Italy for collectors,foundations and museums across the word.